A few months ago KFC (or their ad agency, is it still Ogilvy? Even after the black child as dog thing?) pulled a stunt that involved a pop culture reference that was, no doubt, meant to warm the hearts of the black people who queue for the chicken. The very black people who are usually shown dancing for that same chicken in the brand's usual advertising. 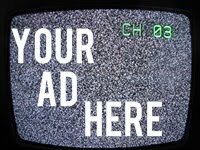 The TV advert was meant to invoke a nostalgia. But it is just a sad 30 seconds. For those who don't know what Emzini Wezinsizwa is: it was a sitcom about men living in a men's hostel somewhere in Johannesburg. It centred around the five men who lived in room eight block c. For starters the quarters were built to each house four men.The 5th man in room eight is there illegally, which is where the laughs were drawn from in a lot of the episodes. This man running and ducking from the hostel's inspector/security/manager(?). 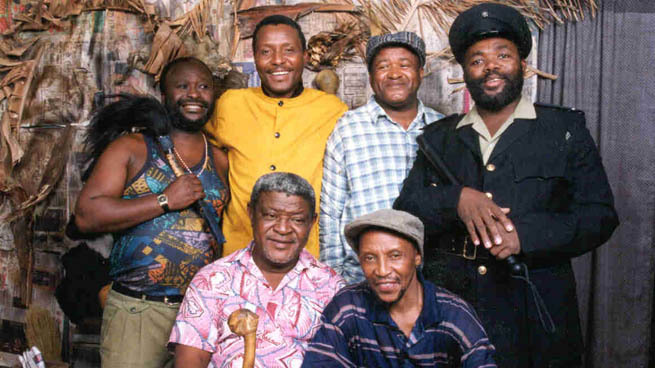 Before the show fell apart and got reworked and whatever it featured the core five characters of Mofokeng, Mkhize, Magubane, Tshawe and Chirwali. Respectively they were...what did Mofokeng do aside from gamble? Mkhize was a security guard, fixed shoes and made izimbadada; Magubane was inyanga; Tshawe did something that included him answering to a "bass John"; and Chirwali sewed and sold beer. Mofokeng's role also involved him cooking, I supposed because they let him live with them on the low. The ad is for KFC's five-piece chicken offering and shows the men preparing for dinner -- Mofokeng dishing up. They are interrupted by Mchunu -- the security/inspector/manager(?) mentioned above -- and as he reaches for a piece of chicken, Mofekeng comes out of his hiding place to claim his drum stick. the voice over informs us that there are actually five pieces so everyone gets one and they all eat. I just can't get over how sad it is. 1. It is 2015. 21 years since the show debuted, 10 years since it was cancelled. It's been 21 years and the men still live in room eight. They are still stuck where they were and they can't(?) go back home for some reason. 2. Mkhize is obviously missing. The actor who plays the character died a few months ago, maybe he had been to frail to do the ad or maybe he refused. The piece Mchunu eats (for the happily ever after) is Mkhize's piece. 3. I can't help getting a different kind of nostalgia. When Ray Ntlokwana, of Velaphi fame, died, his widow seated in mourning on a mattress was shown on the Nguni news on SABC 1. A channel he on which and for which he made people laugh. They still play his show. I sat with my father's father and watched as they said they didn't have any money with which to lay him to rest. I can't remember how old I was. Do these men have money? If KFC and Ogilvy were going for the, "everything is awful" nostalgia, they nailed it.